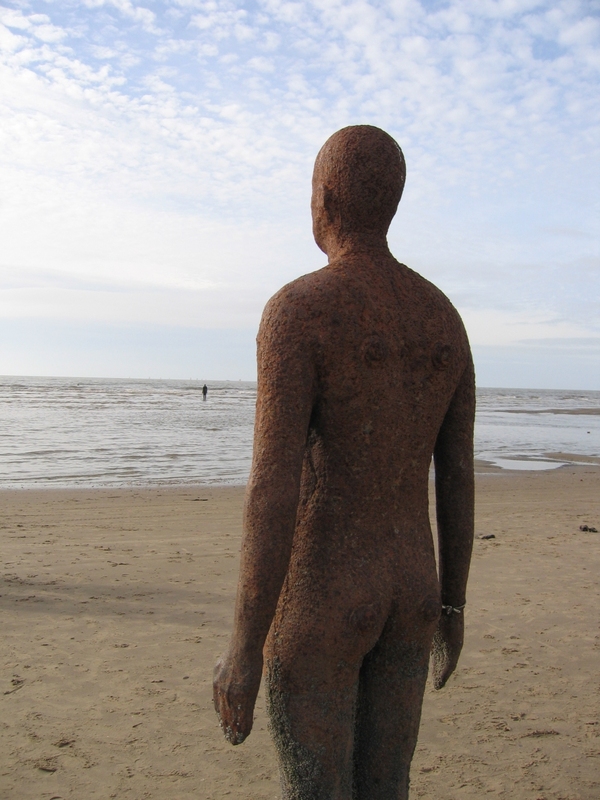 Visited Crosby beach today to see Antony Gormley's Another Place statues. 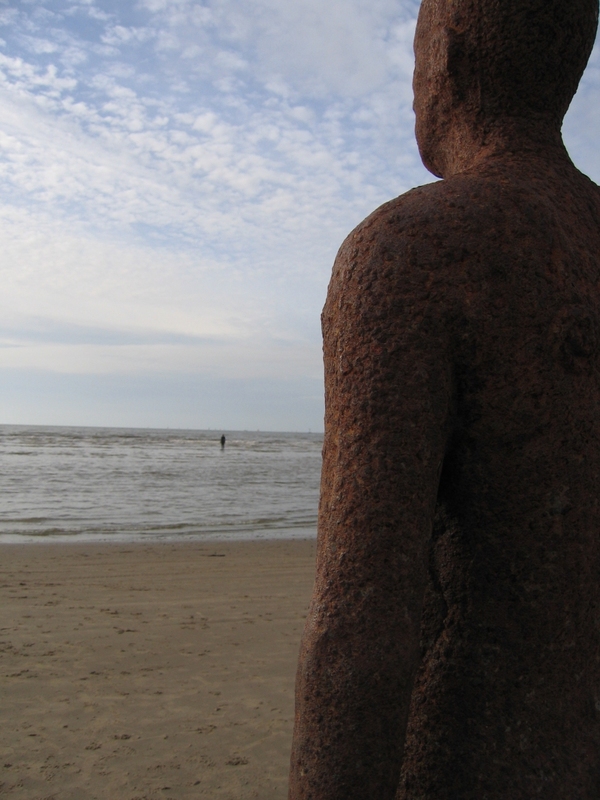 It was also a lovely sunny Sunday afternoon as well. I got a photograph of this fascinating poster done. A dense argument of graphics and text. 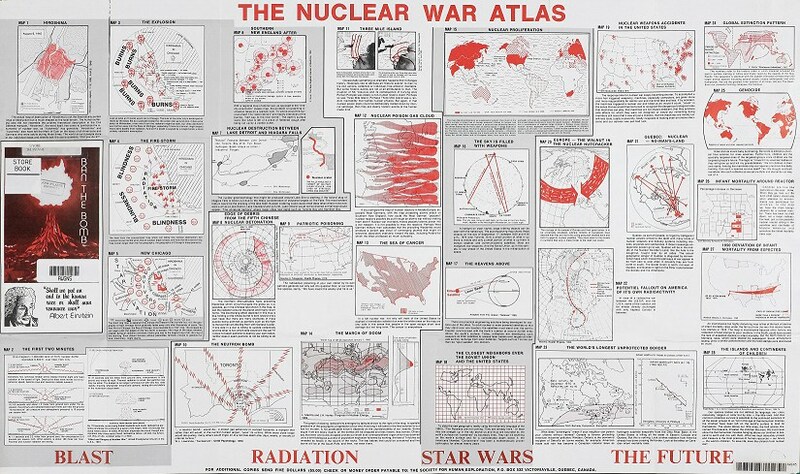 I am doing some research on cartographic secrecy. This is the partial response I got from the Ordnance Survey to my FOIA request. Attached is the incomplete spreadsheet of 'secret sites' they released, essentially the same as that supplied to Alan Turbull, at Secret Bases. I find it interesting they are still sticking to the 'security through secrecy' argument despite claims to more 'open' mapping policy earlier in the year (see the Independent story, 'Secret nuclear bases to be shown on public maps', 6th August 2006). I am pleased to provide you with the attached information with regard to your request. Please be aware that not all the relevant information Ordnance Survey holds has been provided within this response, as parts of it fall within the National Security exemption under section 24 (1) of the Freedom of Information Act 2000 (FOIA). Section 24(1) is a qualified exemption and I have considered whether the balance of the public interest favours releasing or withholding the information. Ordnance Survey recognises that there is a general public interest in the transparency of Government institutions along with historical interest in the development of Government policy. 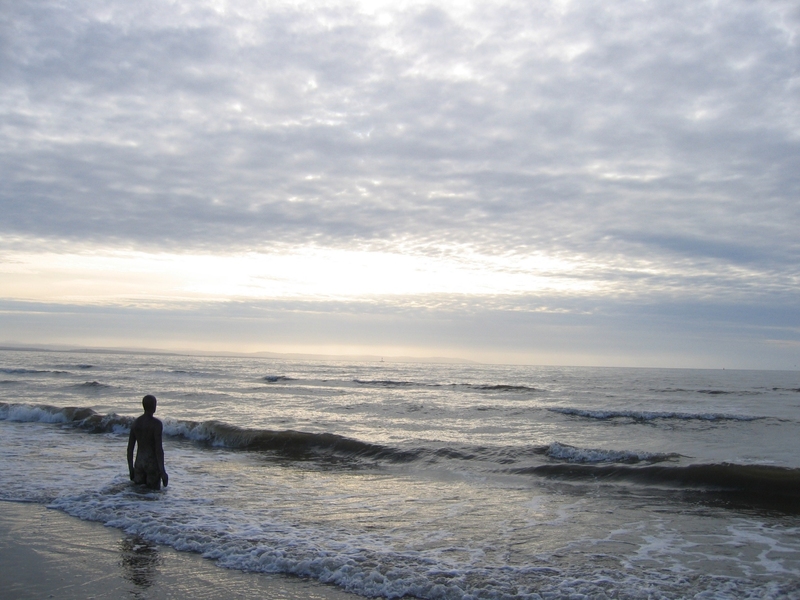 The information withheld could help increase public knowledge and encourage better informed discussion. However, set against these arguments we also recognise that there is a very strong public interest in safeguarding national security and in not releasing any information that might prejudice national security. Disclosure of the withheld information could assist terrorists in identifying and planning attacks on critical UK assets and we must consider the potential loss of life and economic damage that could result. Moreover, a key feature of security is the relative anonymity of the sites and this would obviously be harmed by release of this information. Taking into account all the circumstances of this case, I have concluded that the public interest in maintaining the section 24 National Security exemption in relation to this material outweighs the public interest in disclosing the information. disclosure of additional information if appropriate. 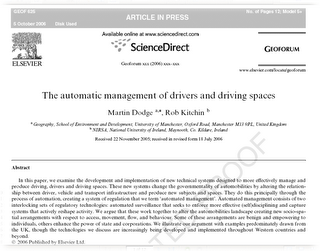 I have just sent off the corrections to the pages proofs of our Geoforum article on the automatic management of drivers and driving spaces. Hopefully it will be published at some point early in 2007. If you are interested the uncorrected page proof version is here.